Snoopy and Woodstock. 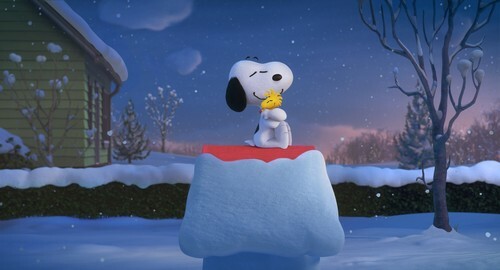 High quality screenshot from the 2015 Peanuts movie.. HD Wallpaper and background images in the Peanuts club tagged: photo peanuts movie peanuts movie snoopy woodstock. This Peanuts photo might contain snowbank, snow bank, igloo, iglu, and paper towel.